The short story is often viewed as an inferior relation to the Novel. But it is an art in itself. To take a story and distil its essence into fewer pages while keeping character and plot rounded and driven is not an easy task. Many try and many fail. In this series we look at short stories from many of our most accomplished writers. Miniature masterpieces with a lot to say. 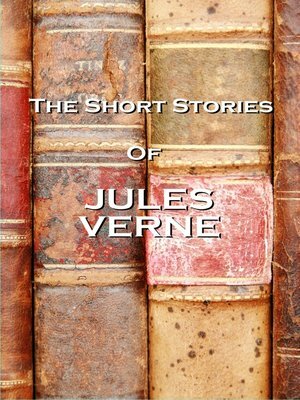 In this volume we examine some of the short stories of Jules Verne. When we think of Jules Verne we think of science fiction and wonderful exploits full of adventure way beyond their time. So we are delighted here to bring you some of Verne's shorter works that will take you on a voyage of new discoveries into the astonishing mind that wrote Around The World In 80 Days, 20,000 Leagues Under The Sea and Journey To The Centre Of The Earth. Born in Nantes, France in 1828 his family planned for him to become a lawyer but his mind was set on becoming a writer. By the time of his death in 1905 he was famed the world over as perhaps the greatest writer of science fiction, a regard in which he is still held today. Many of the stories are also available as an audiobook from our sister company Word Of Mouth. The full volume can be purchased from iTunes, Amazon and other digital stores. Among the readers are Richard Mitchley and Ghizela Rowe. Index Of Stories - A Voyage In A Balloon, In The Year 2889, The Fortieth French Ascent Of Mont Blanc, Master Zacharius.